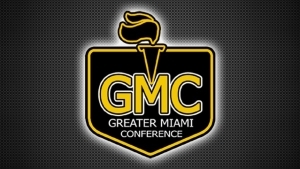 Congratulations to our Highlanders who were named GMC Athletes of the Week! Daniel picked up 2 big wins this week. He stepped into first singles on Wednesday and got his first career 1st singles win over Northwest. Then on Thursday, he picked up a solid win over Princeton. While maintaining a 4.0 GPA, with a rigorous AP schedule, Daniel is also a member of the robotics team and NHS. Brandon Gaddis Boys' Track Sr.
Brandon threw a personal best in the discus and a season-best in the shot put, earning him 5th and 6th place, respectively. He was one of the few Oak Hills athletes to place in two events at Coaches Classic. Riley Ludwig Girls' Track Fr. Riley has quickly become one of the top performers on the girls' team. At the extremely competitive citywide Coaches Classic meet, she placed 5th in the 100m hurdles with a season-best and 3rd in the 300m hurdles with a lifetime best. She has proven to the city that she is a force to be reckoned with in the hurdles. Logan Essen Boys' Volleyball Jr.
Logan accumulated 24 digs in two matches this week. He also passed an average of 2.27 in serve receive in those matches. He currently leads the GMC in total digs and is third in digs/game with 4.17/game. He also added an ace in the win against Princeton. Kayla is hitting in the 2 spot with a .391 batting avg. She has 4 doubles this season. Kayla has pitched 45 innings for the Highlanders striking out 34. She has chalked up 4 wins with a 2.3 era. Kayla is the driving leader on the field this season for the Highlanders. She is also an active member of the Oak Hills National Honor Society.